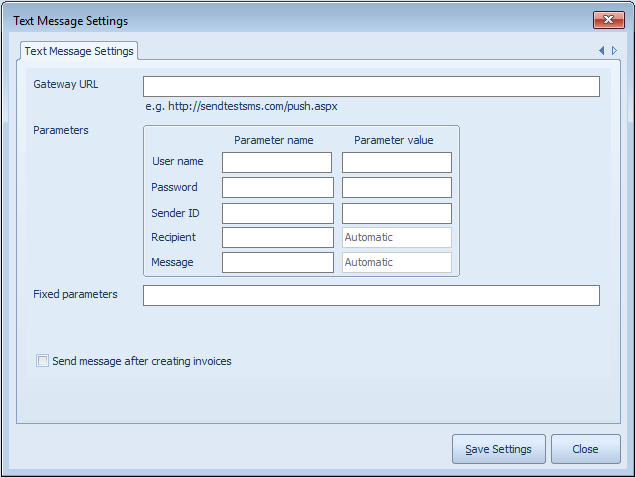 To be able to send text messages to your customers from the software, you will need to configure text message settings. Go to Tools menu and click Text Message Settings menu. Once the settings form is opened, you can specify API details that you have received from the text message service provider.